Gently rolling hills with a balanced mix of wooded/open and left/right curving holes. Under light construction but open for play. In Lancaster; take US 33 Bus. Rte. (Memorial Dr) to Fair Ave. Go east 1 mile to a left on SR 37 (N. High St.), 0.35 mile and go straight on N. High (SR37 veers right). Keller-Kirn Nature Park entrance is 1 mile uphill on the left (across from Castaways Restaurant). as always I'll be giving my + and - opinions please play it and form your own.The only 2 drawbacks I had with this course are it always seems crowded(what good course isn't) and the signage was lacking a little you might get lost in the flow if you don't pay attention. I did however love the elevation changes good mix of l/r turns a couple good long holes and some short technical holes as well.This may be the cleanest trash free course I've ever seen,well maintained. 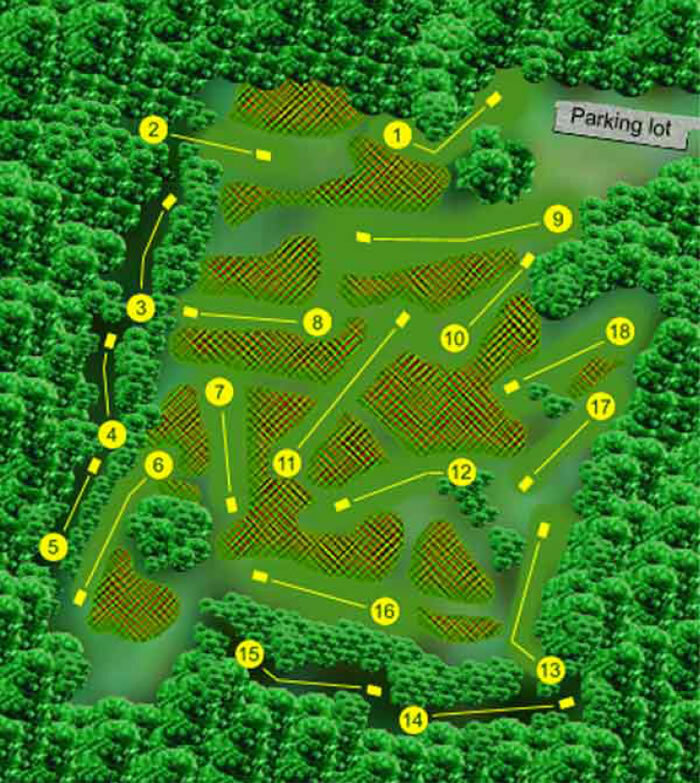 The one feature I felt was unique was that on the blind holes where you can't see the pins they have watch towers to climb so you can see where to shoot.The rubber tees can be a little sketchy when wet.Overall nice venue and friendly locals make this a good play. Excellent course with changes of open to wooded to open again. Long throwers will not find it as challenging as the longer courses but will have fun anyway. Played course yesterday for first time.A really cool course with a lot of chances for shots. Well maintained,had a great time.